Students research why one-third of Americans are lactose intolerant, but most other cultures have a much higher intolerance rate. In this lab designed by teacher Therese Passerini, students test milk with a glucose strip and introduce the enzyme lactase. After retesting, students notice that lactose in milk breaks down into galactose and glucose. Students then research a world map to observe trends in lactose tolerance and make inferences on the inheritance and possible adaptive advantage of lactose tolerance in some populations. This kit is for grades nine-12. 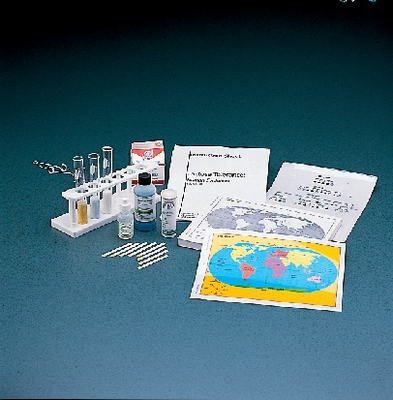 Ordering information: This kit includes lactase, glucose test strips, map of the world, transparencies of the world map (color-coded), transparencies of pedigrees, and complete instructions. Milk is not included.